The call is out for schools to join Greater Dandenong Council’s revival of a Chinese sister-city student exchange program. 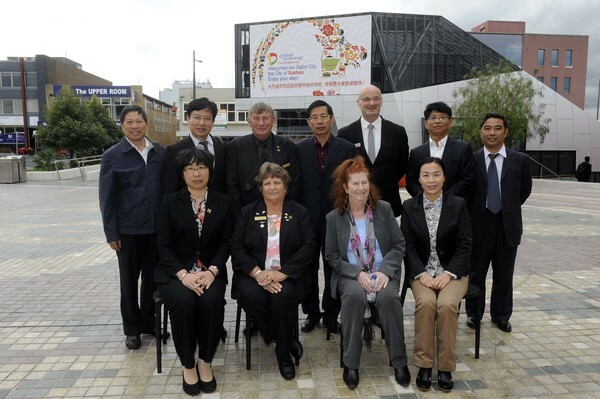 Mayor Roz Blades will meet up to four schools in the cities of Xuzhou and Xinyi during a council trip in China in mid-May – described by one councillor as a “junket”. As part of the trip, Cr Blades and a senior council officer will attend the Xuzhou International Sister City Exchange on 15-17 May. Cr Blades had been instrumental in setting up the original school exchange in a previous mayoral stint. The exchange had ongoing benefits, with former students maintaining the friendships. It also “opened the doors” for local businesses to access the Chinese market, Cr Blades said. She’d also organised and paid for teachers and nurses to work in Xuzhou. In the newest program, schools from Dandenong, Noble Park and Springvale would be invited. “The benefits are that students have been able to learn about each other and it’s been ongoing. At a council meeting on 8 April, Cr Blades and several councillors were moved to defend the mission. Cr Timothy Dark, in opposition, said the $5,000-10,000 trip didn’t pass “the pub test” and carried “no nett benefit” for Greater Dandenong. Such talks could be facilitated online, such as on Skype, he said. The word ‘junket’ drew a swift rebuke from Cr Blades, insisting it was “not a holiday”. Cr Dark said the trip met the definition of a junket, which was an official’s “extravagant” trip or celebration at the public’s expense. It didn’t have the same value as past council-business delegations to China, which he’d seen first-hand open markets for local manufacturers. Cr Sean O’Reilly, in support of the exchange, said the trip was in no way “extravagant”. He said students who understand Chinese culture would better prosper in their later business lives. Cr Matthew Kirwan said it was important for children in both countries to learn more about the other. China was variously viewed as an economic opportunity or an economic rival, with also issues against the nature of its government, he said. The council has had a sister-city relationship with Xuzhou since 1996.